The Zhao laboratory develops and applies synthetic biology approaches (1), particularly directed evolution, to engineer functionally improved or novel proteins, pathways, and genomes. In parallel, Zhao laboratory investigates the protein structure-function relationship, cell metabolism, and mechanisms of gene expression and regulation. Our current research program centers on four distinct yet related areas, including foundational tool development, drug discovery and development, industrial biotechnology, and mammalian synthetic biology. A hallmark of Zhao laboratory is the emphasis of developing foundational tools for synthetic biology applications. Prominent examples include the StEP in vitro DNA recombination method (2), the DNA assembler method for rapid construction of large DNA molecules such as pathways and plasmids (3), the COMPACTER method for pathway optimization (4), and the CRISPR/Cas9 based method for rapid and efficient genetic manipulation of Streptomycetes (5). Currently, we are focusing on the development of a biological foundry and genome-scale engineering tools. Inspired by the exponential growth of the microelectronics industry, synthetic biologists have been attempting to build biological foundries for rapid prototyping and manufacturing of biological systems6. We recently established the first prototype foundry for synthetic biology applications, called Illinois Biological Foundry for Advanced Biomanufacturing (iBioFAB), in the world in March 2014. 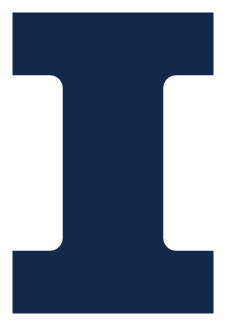 Housed on the Illinois campus, iBioFAB consists of (i) a computational design framework that automates the design-build-test-analyze cycle and (ii) an integrated automated robotic system that automates DNA cloning, DNA assembly, heterologous expression, and product detection. The system features a 6 degree of freedom articulated robotic arm that travels on a 5-meter-long track and transfers microplates among more than 20 instruments installed on the platform; a sophisticated sample tracking system; and libraries of parts and modules for a variety of platform organisms. (See video.) As an early successful example, we developed a fully automated method to construct 1000 transcription activator-like effector nucleases (TALENs), an important tool for genome editing, within a single day with over 98% assembly efficiency – from desired target to expression-ready plasmids, which reduces the cost of TALEN synthesis from >$1,000 (price quote from Life Technologies) to <$10 per TALEN (7,8). Currently, we are developing both computational and experimental tools to enhance the capabilities of iBioFAB and explore various applications related to natural product discovery, cell line development, and metabolic engineering. Advances in reading, writing and editing genetic materials have greatly expanded our ability to reprogram biological systems at the resolution of a single nucleotide and on the scale of a whole genome. Such capacity has greatly accelerated the cycles of design, build and test to engineer microbes for efficient synthesis of fuels, chemicals and drugs(9). We recently developed a facile genome-scale engineering tool called RNAi-assisted genome evolution (RAGE) for rapid engineering of complex phenotypes in Saccharomyces cerevisiae by functionally reconstituting a heterologous RNA interference machinery in vivo (10). Currently, we are developing a variety of tools for genome-scale gene deletions and insertions as well as gene regulation based on either the RNAi machinery or the CRISPR-Cas9 system for a wide variety of organisms such as S. cerevisiae, Streptomycetes, and human cell lines. Microorganisms have evolved to produce a myriad array of complex molecules known as natural products. They are a prolific source for high-value compounds with numerous applications in food, agriculture, chemical, and pharmaceutical industries (11,12). We are interested in the discovery, characterization, and engineering of new biosynthetic pathways involved in natural product biosynthesis. In the past ten years, we have been characterizing and engineering phosphonic acid biosynthetic pathways (13-15) and polyketide biosynthetic pathways (16-18). Our current major focus is to develop novel synthetic biology strategies to activate the silent or cryptic biosynthetic pathways that represent more than 90% of naturally occurring natural product pathways (19-21). In particular, we attempt to scale up the entire natural product discovery process by combining it with our iBioFAB. Due to concerns about energy security, sustainability, and global climate change, microorganisms have been increasingly used as cell factories for the production of chemicals and biofuels. In the past few years, we have successfully engineered a yeast strain displaying a mini-cellulosome that can ferment phosphoric acid swollen cellulose to ethanol (22). We also developed a novel strategy to overcome the glucose repression limitation in mixed sugar fermentation by co-expressing a cellobiose-specific transporter and a β-glucosidase in S. cerevisiae (23). In addition, we improved the intracellular acetyl-CoA (a key precursor to numerous chemicals and fuels of interest) concentration in both E. coli (24) and S. cerevisiae (25). Currently, we are interested in engineering yeast and E. coli strains capable of producing advanced biofuels and important industrial chemicals. Synthetic biology holds great promise for treatment of human diseases. For example, we created a variety of transcription factor based gene switches and gene circuits to precisely control the gene expression levels in mammalian cells and animals (26-28). Such gene switches and circuits are invaluable tools for gene therapy, tissue engineering, functional genomics, therapeutic protein production, and stem cell engineering. In addition, we developed a TALEN based strategy to correct the single point mutation causing sickle cell disease in a human patient derived cell line (29,30), which was the first demonstration of an engineered TALEN for potential human gene therapy (highlighted in a News Focus in Science (31). Recently, in collaboration with Prof. Juan Carlos Izpisua-Belmonte at Salk Institute, we created a TALEN mutant with high specificity for treatment of a mitochondrial disease in a mouse model32. Currently, we are developing next-generation synthetic biology tools based on TALENs and CRISPR-Cas9 for basic and applied research in medicine. Examples include scalable gene switches, a new Chip-Seq method, a new chromosome-looping strategy, and a genome-wide tagging strategy for studying chromatin structure, function, and dynamics. (1) Zhao, H. Synthetic Biology: Tools and Applications; Academic Press-Elsevier: Amsterdam, 2013. (2) Zhao, H.; Giver, L.; Shao, Z.; Affholter, J. A.; Arnold, F. H. Nature biotechnology 1998, 16, 258. (3) Shao, Z.; Zhao, H.; Zhao, H. Nucleic acids research 2009, 37, e16. (4) Du, J.; Yuan, Y.; Si, T.; Lian, J.; Zhao, H. Nucleic acids research 2012, 40, e142. (5) Cobb, R. E.; Wang, Y.; Zhao, H. ACS synthetic biology 2014. (6) Chao, R.; Yuan, Y.; Zhao, H. Science China. Life sciences 2015. (7) Liang, J.; Chao, R.; Abil, Z.; Bao, Z.; Zhao, H. ACS synthetic biology 2014, 3, 67. (8) Si, T.; Chao, R.; Lian, J.; Zhao, H.
(9) Si, T.; Xiao, H.; Zhao, H. Biotechnology advances 2014. (10) Si, T.; Luo, Y.; Bao, Z.; Zhao, H. ACS synthetic biology 2014. (11) Luo, Y.; Cobb, R. E.; Zhao, H. Current opinion in biotechnology 2014, 30, 230. (12) Luo, Y.; Li, B. Z.; Liu, D.; Zhang, L.; Chen, Y.; Jia, B.; Zeng, B. X.; Zhao, H.; Yuan, Y. J. Chemical Society reviews 2015. (13) Shao, Z.; Blodgett, J. A.; Circello, B. T.; Eliot, A. C.; Woodyer, R.; Li, G.; van der Donk, W. A.; Metcalf, W. W.; Zhao, H. The Journal of biological chemistry 2008, 283, 23161. (14) Johannes, T. W.; DeSieno, M. A.; Griffin, B. M.; Thomas, P. M.; Kelleher, N. L.; Metcalf, W. W.; Zhao, H. Chemistry & biology 2010, 17, 57. (15) DeSieno, M. A.; van der Donk, W. A.; Zhao, H. Chemical communications 2011, 47, 10025. (16) Zha, W.; Shao, Z.; Frost, J. W.; Zhao, H. Journal of the American Chemical Society 2004, 126, 4534. (17) Choi, Y. S.; Zhang, H.; Brunzelle, J. S.; Nair, S. K.; Zhao, H. Proceedings of the National Academy of Sciences of the United States of America 2008, 105, 6858. (18) Rubin-Pitel, S. B.; Zhang, H.; Vu, T.; Brunzelle, J. S.; Zhao, H.; Nair, S. K. Chemistry & biology 2008, 15, 1079. (19) Cobb, R. E.; Zhao, H. Nature biotechnology 2012, 30, 405. (20) Shao, Z. Y.; Rao, G. D.; Li, C.; Abil, Z.; Luo, Y. Z.; Zhao, H. M. ACS synthetic biology 2013, 2, 662. (21) Luo, Y.; Huang, H.; Liang, J.; Wang, M.; Lu, L.; Shao, Z.; Cobb, R. E.; Zhao, H. Nature communications 2013, 4, 2894. (22) Wen, F.; Sun, J.; Zhao, H. Applied and environmental microbiology 2010, 76, 1251. (23) Li, S.; Du, J.; Sun, J.; Galazka, J. M.; Glass, N. L.; Cate, J. H.; Yang, X.; Zhao, H. Molecular bioSystems 2010, 6, 2129. (24) Zha, W.; Rubin-Pitel, S. B.; Shao, Z.; Zhao, H. Metabolic engineering 2009, 11, 192. (25) Lian, J.; Si, T.; Nair, N. U.; Zhao, H. Metabolic engineering 2014, 24, 139. (26) Chockalingam, K.; Chen, Z.; Katzenellenbogen, J. A.; Zhao, H. Proceedings of the National Academy of Sciences of the United States of America 2005, 102, 5691. (27) McLachlan, M. J.; Chockalingam, K.; Lai, K. C.; Zhao, H. M. Angew Chem Int Edit 2009, 48, 7783. (28) Liang, J.; Ning, J. C.; Zhao, H. Nucleic acids research 2013, 41, e54. (29) Sun, N.; Liang, J.; Abil, Z.; Zhao, H. M. Molecular bioSystems 2012, 8, 1255. (30) Sun, N.; Zhao, H. Biotechnol Bioeng 2014, 111, 1048. (31) Pennisi, E. Science 2012, 338, 1408. (32) Reddy, P.; Ocampo, A.; Suzuki, K.; Luo, J.; Bacman, S. R.; Williams, S. L.; Sugawara, A.; Okamura, D.; Tsunekawa, Y.; Wu, J.; Lam, D.; Xiong, X.; Montserrat, N.; Esteban, C. R.; Liu, G. H.; Sancho-Martinez, I.; Manau, D.; Civico, S.; Cardellach, F.; Del Mar O’Callaghan, M.; Campistol, J.; Zhao, H.; Campistol, J. M.; Moraes, C. T.; Izpisua Belmonte, J. C. Cell 2015, 161, 459.